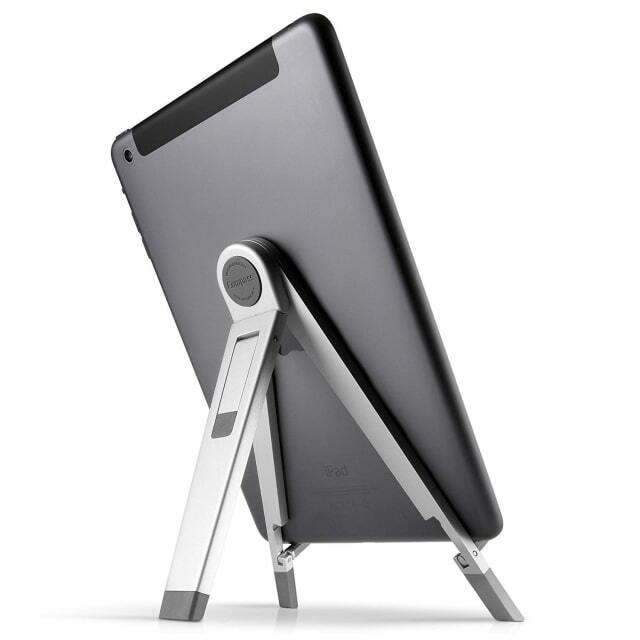 Twelve South’s Compass 2 stand for iPad is on sale today for $28. That’s 30% off its list price of $39.99. 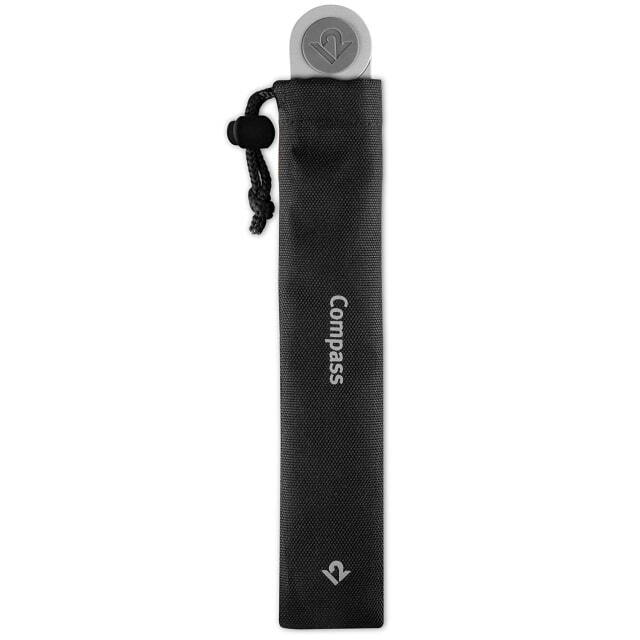 The compact Compass 2 stand from Twelve South can go anywhere you take your iPad. 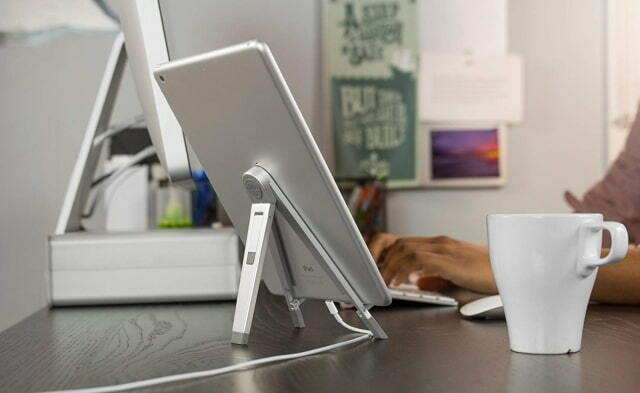 Engineered from steel and soft silicone, this beautiful stand holds your iPad, iPad mini or iPad Air in your choice of two different modes. Upright as an easel, Compass displays your iPad in portrait or landscape orientation, which is great for watching movies, iPhoto slideshows, or paging through a cookbook. 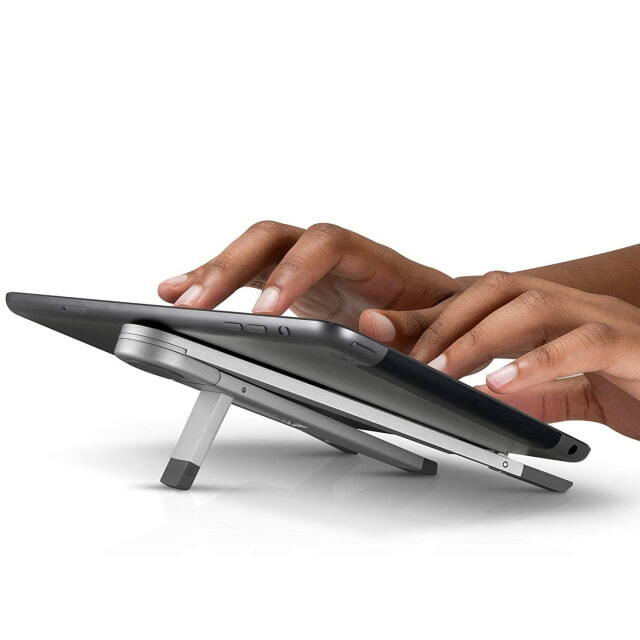 Flip down the secondary leg and Compass becomes a handy workstation that angles your iPad to the perfect position for typing emails or updating your Facebook status. Once you’re done, fold up Compass and store it in your computer bag or backpack. ● Put the ‘face’ in FaceTime.